What better way to spend a weekday afternoon than working up a sweat at Flow Athletic’s pop-up Nightclub Spin at Home. 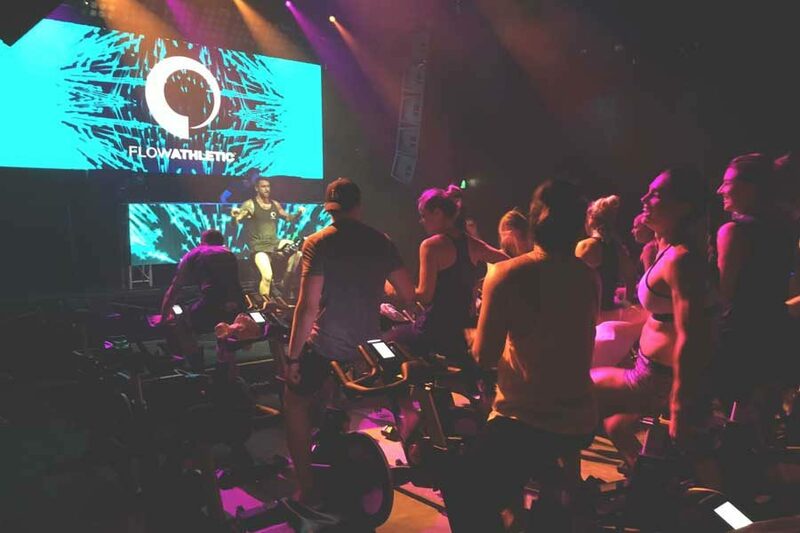 Yes, a spin class in an actual nightclub. And it’s less seedy than you think! It’s a truckload of fun, sweat and very loud (read: LOUD) music. Plus, the odd strobe, laser and smoke machine. The next pop-up classes are coming up on the 31st Jan and 1st Feb and they’re run by the guys at Flow Athletic (of silent yoga fame). There are six times to chose from, and this time it’s all in the name of Pride – celebrating the YES vote with some pumping tunes and a whole of of sweat (buy tickets HERE). To give you an idea of what this next event will be like, here is our carefully researched list of everything we learned last year at the sold-out Nightclub Spin. Each one of the 40 stationary bikes, along four rows, sits in front of a stage where your instructor powers his own amped up bike. With a head mic on, like an early 90’s Madonna, he shouts random numbers at you, which unless you’re in a spin class will mean nothing, “Turn to 50, and stay at 100!”. And he’ll be there right with you, sweating and sprinting as the music revs up, throwing out the odd “Let your legs dance, people!” and “It’s Sweatfest 2018 up on stage here!” And trust us, you’ll love him a little more, each time. Don’t be like us and forget about hydrating. Bring along a big, glistening chilled bottle of water. The bikes have a spot to rest it, and you’ll need it. Like, really need it. The workout doesn’t stop, it’ll take you from sprint to standing ride and back to sprint again, for 45 minutes. You’ll be lusting after liquid by sprint number two, and you can be sure that the guy next to you will be taking sip after sip as you deal with your Sahara-like throat. Unlike some other workouts (boutique barre studios we’re looking at you), spin classes attract a pretty even spread of men and women, making them a great place for couples to work out. Or if you’re one of those blessed people that looks hot while sweating, spin class is the perfect way to workout in close proximity to other genetically pleasing bodies. Depending on what sort of fitness lover you are, this will work out for you either way. If you’re taking it easy, spin classes are notoriously easy to ‘cheat’ in. The instructor says to turn it up to 50? Sure *lightly touches dial, stays at 28*. On the other hand, if you’re finding the workout too easy, crank the levels and push yourself as hard as your thighs can handle. It’s up to you! 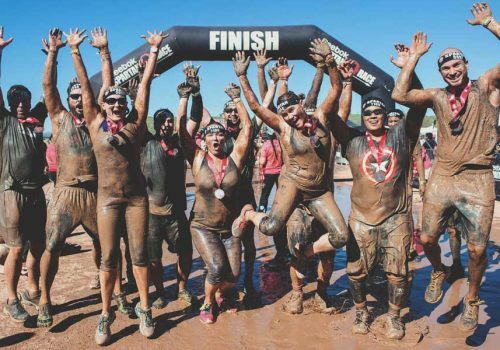 “Dear man in the front row who looked uber fit and who pushed himself really hard, kudos to you, good sir, but can you please clean up the spill in aisle one?” Look, there’s no judgment here, I mean we’re all here to sweat and workout, right? But if you know you’re a massive sweat machine, bring a couple of towels. One for the floor and one for your face. It’s a courtesy thing. Oh and one last thing man in the front row, you totally inspired us to push a little harder. You nailed that work out. And your skin-tight cycle gear. Love fitness? Of course you do. That’s why you’re here, right? You might be interested in our newsletter… it’s packed full of fitness discounts, exclusive reader comps, free workouts and more! 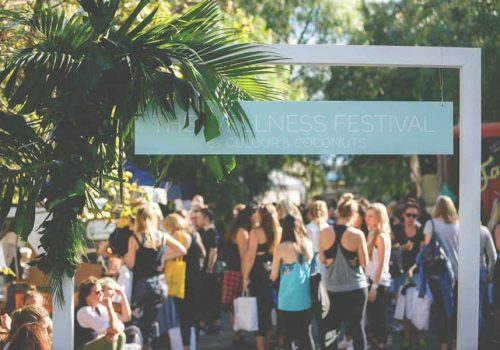 Sign up and be the first to hear about what’s going on in the world of fitness in Sydney. 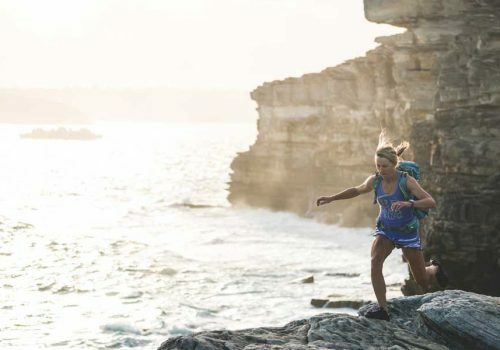 Lucy is a writer with a passion for fitness and adventure travel. She was editor of Women’s Fitness, Cleo and Dolly magazines and has written for high-profile websites on health, fitness and travel. She lived in Bolivia working as a journalist, as well as Argentina, where she founded an English-language newspaper with a fellow journalist. Her workouts of choice are yoga, Pilates and spin, and walking her dog, Luca, who she is obsessed with.